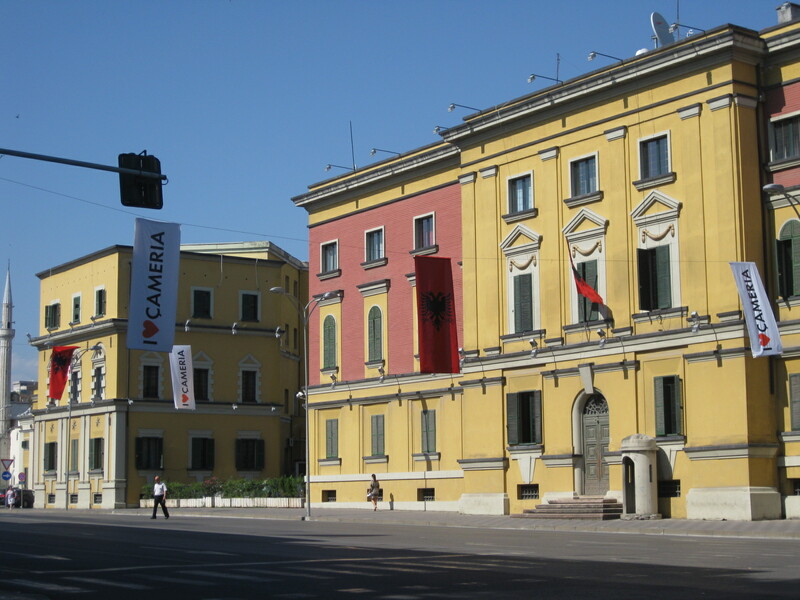 Çamëria is the ethnically Albanian region extending from Albania’s Saranda district into some Greek districts. 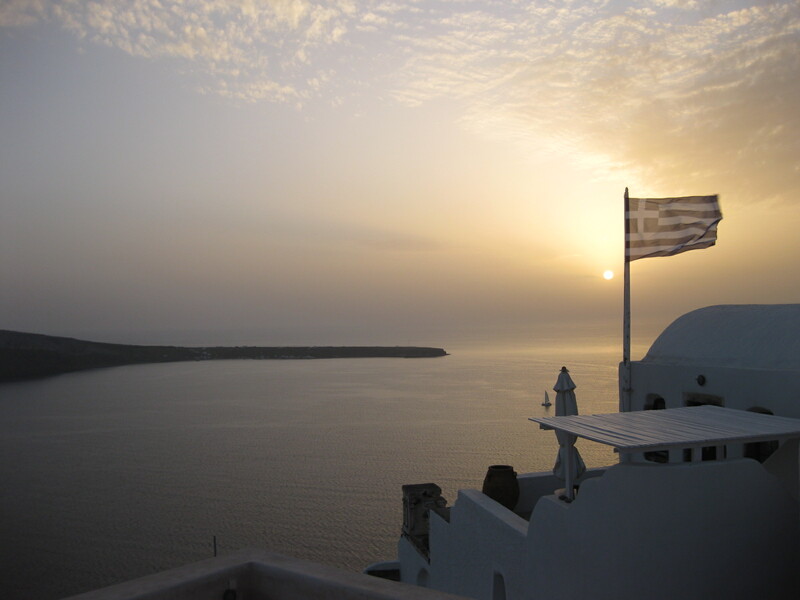 Before starting my Fulbright project I knew that there were a lot of Albanians living and working in Greece (when I traveled there my first summer in Peace Corps, I seemed to hear Albanian spoken all around me), but not that there was a region where Albanians had historically settled and lived. This is just to give you a little background on the photos. 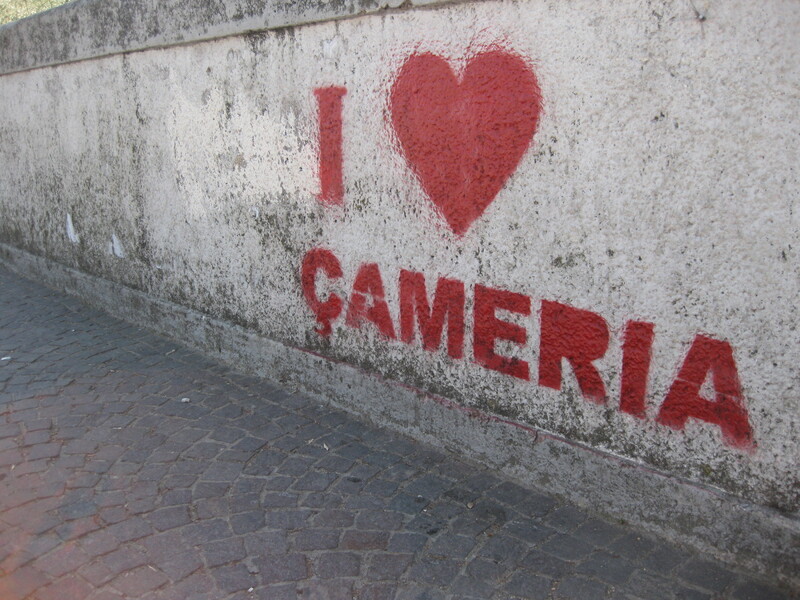 Ever since I moved to Tirana, I’ve been meaning to take a photo of some “I ❤ Çamëria” graffito. I’d only seen it in one place, though, about a 25 minute walk from my apartment, and never seem to have my camera when I’m going by there. 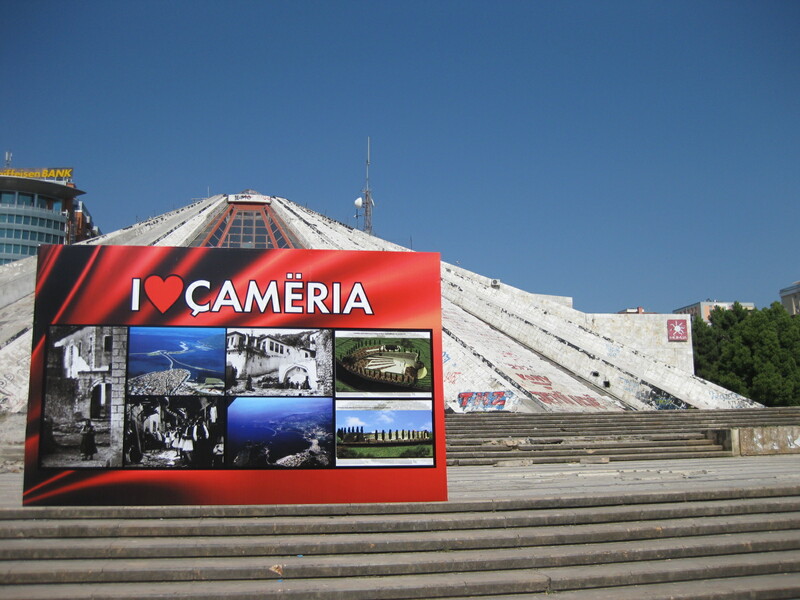 Last week I noticed that the “I ❤ Çamëria” graffiti was popping up everywhere, along the major streets around the Bllok where I live. 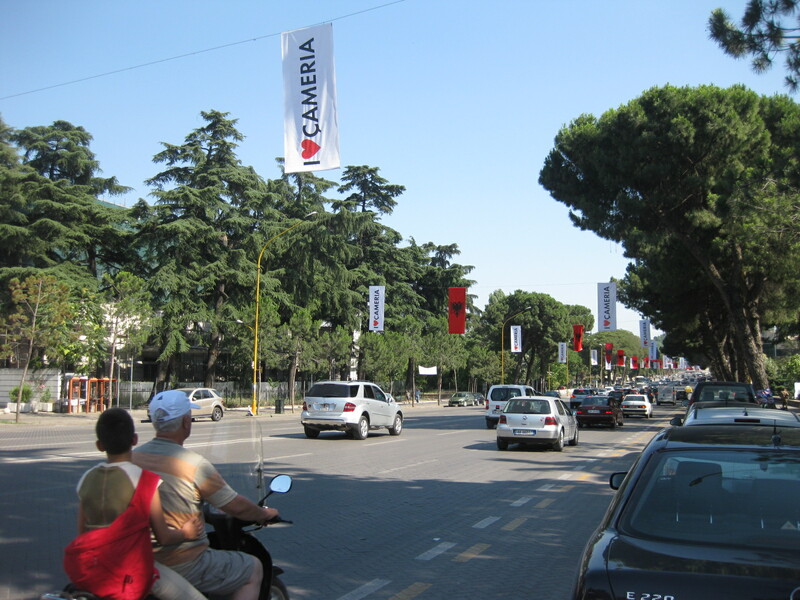 And then yesterday, along Tirana’s main boulevard, up went “I ❤ Çamëria” banners interspersed with banners showing the double-headed eagle from Albania’s flag. 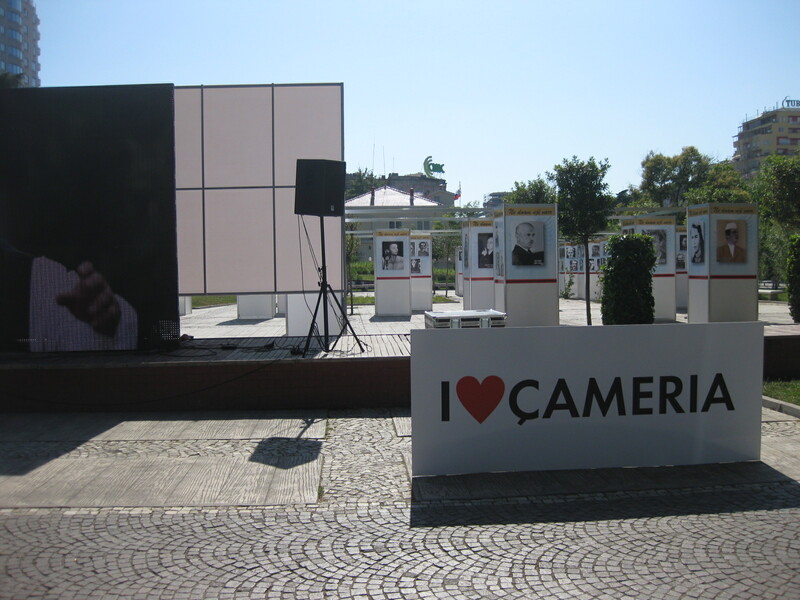 On my way for a coffee today, I stopped and took photos of all the Çamëria banners, graffiti, posters, and displays I saw along the boulevard. I’m waiting to see if Balkan Insight is going to write anything about this, since I’m curious about how all the Çamëria love is going to go over with Greece. 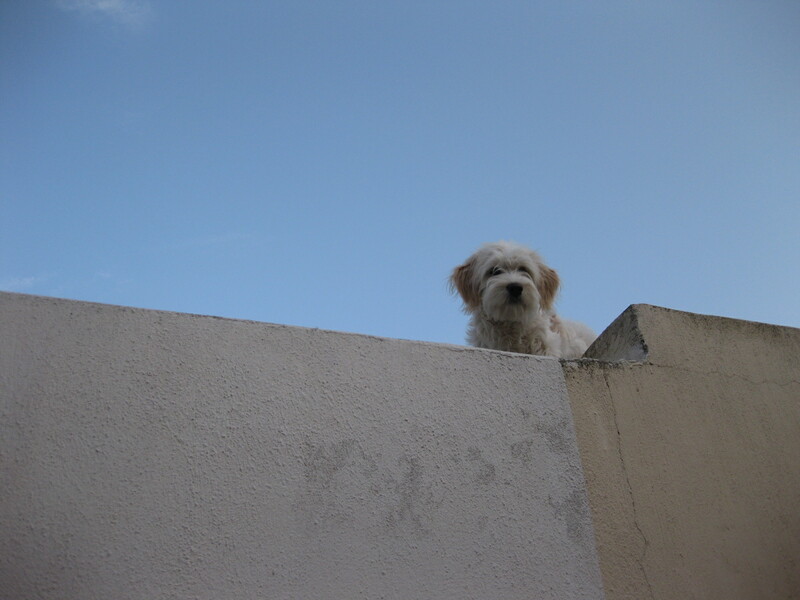 Look how far they go – all the way down the boulevard!